PETALING JAYA: The coming together of Khazanah Nasional Bhd and Temasek Holdings to develop RM30bil worth of real estate projects in Singapore and Iskandar Malaysia will help UEM Land Holdings Bhd make a great leap forward, both financially and in terms of branding, say analysts. The tie-up also puts into focus why UEM Land launched an RM1.4bil takeover of property developer Sunrise Bhd, which was completed early this year. “We believe UEM Land will be able to leverage on Sunrise's expertise in lifestyle integrated developments to take on the proposed developments. As such, Sunrise will be taking the lead on behalf of UEM Land in undertaking these development projects,” said an OSK Research report. UEM is among the top landowners in Iskandar Malaysia, with 1,300 acres of development land in the southern economic corridor. Among the several economic corridors spearheaded by the Government, Iskandar Malaysia remains the most upbeat and vibrant. In many ways, according to analysts, the alliance of the two government investment holding companies is expected to be a win-win proposition for both sides. 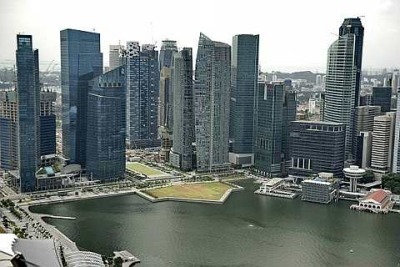 As a result of the Khazanah-Temasek joint venture (JV), UEM Land, together with Mapletree Investments Pte Ltd, have been appointed to oversee the marketing and development of four parcels of land at Marina South in Singapore. UEM Land is the property arm of Khazanah, while Mapletree Investments is one of Temasek's two real estate portfolio companies. The other Temasek property company is CapitaLand group. The planned mixed-use development on the 2.62ha white site at Marina South would comprise two office towers with ancillary retail and two blocks of residential towers with a combined gross floor area (GFA) of 341,000 sq m, a statement from the Mapletree website said. Located on adjoining sites behind the Marina Bay Financial Centre in the new financial and business cluster of Downtown Marina Bay, the development will be positioned between the proposed linear park and a major public open space above the Marina Bay MRT station. Its proximity to the Marina Bay and future Downtown MRT stations will ensure that it is well served and easily accessible. Construction works are expected to commence in June 2012 with completion estimated in mid-2016. At the same time, UEM Land will work with CapitaLand to oversee the Ophir-Rochor project in Singapore, located between the Kampong Glam Historic District and the Beach Road Conservation Area, in a new growth area envisioned to become a 24/7 mixed-use cluster. Like the Marina South parcels, the Ophir-Rochor parcels also have excellent connectivity. By virtue of having Khazanah as an ultimate controlling shareholder, UEM Land (as with both Mapletree and CapitaLand in relation to Temasek) will be playing a huge role in this JV. Sunrise, with its expertise and tangible portfolio of high-rise and high-end condominium in Mont'Kiara, will also have a huge role to play. With Khazanah's JV, UEM Land's opportunities have now broadened to include Singapore, where real estate is hot. A UEM source said the success of Iskandar Malaysia is due to its proximity with the city state and its tremendous infrastructure, both economically and physically. Besides being a service and financial hub, it has an integrated transport system and other infrastructures like no other in South-East Asia. “We are leveraging on Singapore's tremendous connectivity. When we sell Iskandar, potential investors always ask how many flights do we have in Iskandar Malaysia out to London? We ask them in return how many flights do you want? “The issue is not how many flights our domestic airport in Johor has, but how many flights does Changi Airport have? That is how close geographically we are to Singapore. Multiply that with the whole range of services that Singapore offers and you have the big picture. When we sell Iskandar, we are not just selling Johor; we are selling Johor and Singapore,” said the source. UEM Land Holdings Bhd's acquisition of Sunrise Bhd will further enhance the success of its flagship Nusajaya township, HwangDBS Vickers Research says. 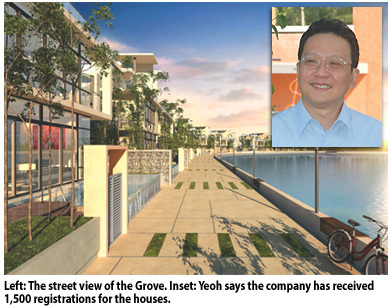 In its Company Focus today, the research house said the recent acquisition would allow UEM Land to leverage on Sunrise's strong brandname and track record in high-end high-density residential and commercial developments. "Sunrise will provide UEM Land with near-term earnings from more mature Klang Valley area to complement greenfield Nusajaya's long-term growth potential, and diversify its earnings base," it said. It said UEM Land was currently trading at a 25 per cent discount to its realisable net asset value (RNAV) compared with big-capitalised developers' average of 18 per cent. This discount should narrow down with improved earnings visibility and lower execution risk following the Sunrise acquisition and the company's possible inclusion in the KLCI FBM-30, it said. "We applied a conservative 10 per cent discount to RNAV to derive a RM3.45 target price for UEM Land compared with five per cent premium to RNAV for sector leader SP Setia Bhd," HwangDBS said. KUALA LUMPUR: Eastern & Oriental Bhd (E&O) is partnering the state investment arms of Malaysia and Singapore to develop an 84ha mixed development dubbed as a wellness township in Nusajaya, Johor. E&O'sunit Galaxy Prestige Sdn Bhd has set up an equal joint venture company, known as Nuri Merdu Sdn Bhd, with Pulau Indah Ventures Sdn Bhd. Pulau Indah is a 50:50 venture between Khazanah Nasional Bhd and Temasek Holdings. Nuri Merdu will build, amongst others, terrace and semi-detached houses, bungalows, serviced apartments and condominiums, wellness centre(s), and retail and commercial properties, E&O said in a statement yesterday. The project is E&O's first project in Johor. The land is located 15 minutes from the Tuas Second Link to Singapore. It is also located in Medini, one of five flagship zones in Iskandar Malaysia. Medini would have office buildings, malls, hotels and residential units. However, the project is subject to a revised master development plan. "The proposal is in line with E&O Group's continuous effort in sourcing new landbank and property development opportunities to boost and sustain its earnings growth," it said. KUALA LUMPUR: Eastern & Oriental Bhd (E&O) has entered into a shareholders' agreement with Pulau Indah Ventures Sdn Bhd to develop a wellness township Nusajaya. Nusajaya is a flagship zone of Iskandar Malaysia. E&O (via wholly-owned subsidiary Galaxy Prestige Sdn Bhd) and Pulau Indah have agreed to establish a 50:50 joint venture (JV) company named Nuri Merdu Sdn Bhd. Pulau Indah is a 50:50 JV between Khazanah Nasional Bhd and Temasek Holdings. This will be E&O's maiden foray into Johor. The 210-acre freehold land for the proposed development is 15 minutes away from the Tuas Second Link to Singapore, and is owned by Iskandar Investment Bhd, a 60% subsidiary of Khazanah. Eastern & Oriental Bhd, a Malaysian property group, rose the most in two weeks after forming a joint venture with Khazanah Nasional Bhd and Temasek Holdings Pte LTd to develop a “wellness” township project in the southern Johor state. The stock climbed 3.9 per cent to RM1.62 at 9:07 a.m. local time in Kuala Lumpur trading, set for its biggest gain since June 15. The new wave tipping point for Iskandar? KUALA LUMPUR: It was the most obvious missing piece in the jigsaw puzzle for Iskandar Malaysia. For about five years, the country's biggest special economic zone was waiting for its closest neighbour to come as an investor. This was only logical since Iskandar is right next door to the island-republic and it was also touted as a cheaper alternative for Singapore companies. But only Raffles Education Corp Ltd produced Singapore's biggest investment, with plans to build the RM200 million Raffles University Iskandar. This is set to change. Analysts think the tipping point is the tie-up between Khazanah Nasional Bhd and Temasek Holdings Pte Ltd. They plan to build RM3 billion worth of properties in Iskandar through their partnership called Pulau Indah Ventures Sdn Bhd. The project shows the confidence from Singapore, which would lead to more investments from the country and other global investors, said HwangDBS Vickers Research analyst Yee Mei Hui. 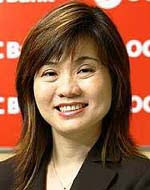 "Temasek is very selective with investments. Their interest in Iskandar Malaysia indicates their confidence in the development so we can expect a new wave of investments, boosting land and property prices in the region," she told Business Times. The two sovereign wealth funds on Monday said they will jointly develop houses, retail space and wellness-related offerings in Iskandar Malaysia. They will also build hotels, apartments, offices and shops worth RM27 billion in downtown Singapore. "Iskandar Malaysia may attract major property developers such as CapitaLand and Wing Tai Holdings Ltd," said an analyst with OSK Research. Three times the size of Singapore, Iskandar Malaysia spans 2,217 sq km and is a mixed-use development planned for completion in 2025. Launched in 2006, the expected investment of US$110 billion (RM375 billion) is split between an initial start-up of US$13 billion from 2006-2010 and US$97 billion (RM331 billion) from 2011-2025. Although neighbouring Singapore, the bulk of investments into the region has come from Europe, the Middle East and Japan with focus on manufacturing, property and tourism projects. The biggest investments are from Acerinox SA of Spain and Japan's Nisshin Steel, which have committed RM5 billion in investments to build a stainless steel plant. From the Middle East, Mubadala, Millenium, Kuwait Finance House and Aldar have committed US$1.2 billion (RM4.27 billion) to develop properties in Medini in Nusajaya. Ongoing projects in Medini include the development of Legoland Malaysia by Merlin Entertainment for US$200 million (RM726 million). The UK's Newcastle University of Medicine is setting up a branch campus for US$100 million (RM363 million) in EduCity. So far, the Khazanah-Temasek tie-up has produced one quick win. Yesterday, Eastern & Oriental Bhd announced plans to partner Pulau Indah and develop a wellness township over a 84ha site. GSB Group Bhd today announced that its wholly-owned subsidiary, GSB Summit Development Sdn Bhd had entered into a joint venture agreement with Projects Start Sdn Bhd to develop commercial properties on freehold land in the Kelana Jaya township. The joint venture project is expected to be completed within four years," the company said in a filing to Bursa Malaysia today. The proposed joint venture is in line with one of GSB’s principal activities in the business of property development and will enable the company to develop a prime parcel of land in Kelana Jaya. The National Housing Department has categorised 40 housing projects under Talam Corp Bhd and the Ukay Bistari project by Intelbest Corp Sdn Bhd as "sick projects". In a statement today, the Housing and Local Government Ministry said the projects had been identified having problems since 2006. To date, some projects under Talam and Intelbest Corp still failed to be completed although the date for completion in the sale and purchase agreement had passed, it said. It said that based on reports and investigations carried out, the delay to complete the projects were due to management and financial problems faced by the developers. "The ministry, through the National Housing Department, will constantly monitor licensed development projects in line with the Housing Development (Control and Licensing) Act 1966," it said. TSR Capital Bhd’s unit TSR Ocean Park Sdn Bhd has entered into three sale and purchase agreements with Best Reap Sdn Bhd to buy 19.2 ha of land in Port Dickson, Negri Sembilan for RM36.8 million and develop a mixed development project. In a filing to Bursa Malaysia yesterday, TSR said the proposed acquisition is in line with its expansion plans in Negri Sembilan and to increase its land bank to generate long-term sustainable income. Impressive: Tajol Rosli (left), looking at the D’Pines@ Ampang project model with Dr Foo and some others before the launch of the sales gallery. 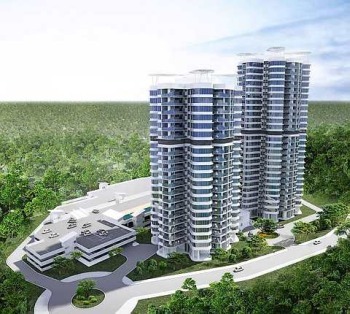 A new residential high-rise property named D’Pines has just been launched in Ampang and is set to liven up the mature neighbourhood surrounding it. “We are proposing a future development next to the condominium, a centre with facilities like badminton courts, a swimming pool, game room, hall and such. Those who can apply for membership to use the place are residents in Taman Nirwana only,” Sri Seltra Sdn Bhd (a member of City Motors Group of Companies) sales and marketing manager Michael Lip said, adding that there may also be retail space available. While no other details available yet because the idea is still in the planning stage, what has already started construction is the two block 20-storey condominium towers. along Jalan Cempaka 6, due to be completed in early 2014. “Block A will have 265 units while Block B will have 267. Both consist of units ranging from 1,321 square feet (sq ft) to 1,875 sq ft,” Lip said. The carparks will be built in a separate block with a sundeck at the top of it. “One of the main features of the deck is the freeform pool with sand beach while the other is the ‘forest park’. There will also be a playground, yoga zone, barbeque area and gymnasium,” he said. According to Lip, selected units will also have a skydeck, an open air platform that can be considered as a second and more private balcony, accessible via the master bedroom. As for the features of the units, all designs have minimum three bedrooms and two bathrooms. The larger two units comes with wet and dry kitchen areas while most of the units have an utility room and yard. Lip said that other features of the condominium is three-tier security, 24-hours CCTV and guards service while maintenance is charged at 20sen per sq foot. “We also had several town villa and penthouse units that has been sold out. 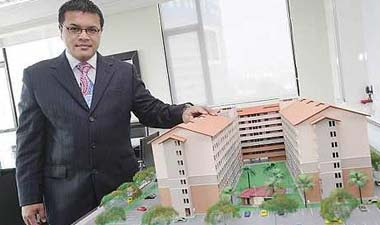 Currently, 70% of our units have been sold,” he said, adding that prices for the units start at RM380,000. Former Perak Mentri Besar Tan Sri Tajol Rosli Ghazali, who had planted a tree in the area back when he was the Housing and Local Government deputy minister, launched the opening of the sales gallery recently. At the event, City Motors executive chairman Datuk Dr Foo Wan Kien said the company has come a long way to be able to develop the land that was once filled with squatters. “Through social responsibility, we resettled the squatters amicably to a medium-cost apartment in Sri Pinang just opposite this condominium where units are between 800 to 1,000 sq ft,” Foo said, adding that they believed in a win-win situation where the living standards of everyone is upgraded. He said that one of the key attractions of D’Pines was its proximity to the city centre and other facilities such as the MRR2, Jalan Ampang, DUKE Highway, Ampang-Kuala Lumpur Elevated Highway and even LRT Ampang line stations like Cempaka. “There are also plenty of hospitals, both government and private nearby and schools. There are also conveniences like Tesco and Carrefour Market close by,” he said, adding that D’Pines offers one of the lowest prices for a similar project in the vicinity. He was also worried that a build- and-sell policy that seems good now may be harmful to the public. 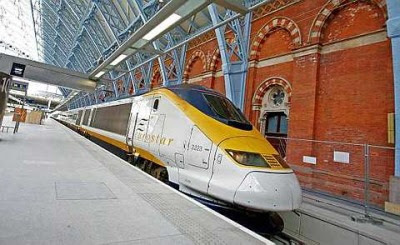 “Not many can finance such projects as banks are reluctant to finance it. Bigger developers on the other hand will not be launching a housing scheme with more than 100 or 200 units, fearful of the market at the time of the project’s completion,” he said, adding this could lead to shortage of affordable homes. Foo believes that incentives such as lower premium, soft loans or suggestions such as developers only collecting about half of the cost to cover construction costs be implemented by the government instead. The show gallery that is located at the construction site of the project is open from 10am to 6pm daily. KUALA LUMPUR: Real estate investment firm MGPA expects its grade A office building Vista Tower (formerly known as Empire Tower), located at the junction of Jalan Tun Razak and Jalan Ampang, to be fully taken up by year-end. MGPA Asia chief executive officer John Saunders said the building had already recorded a 60% take-up in the last six months. Refurbishment of the tower was completed at the end of last year. “We have quite a number of potential tenants talking to us. By year-end, the tower should be full,” he said after a signing ceremony between MGPA and Maybank Investment Bank Bhd for a syndicated term loan facility worth RM1.2bil yesterday. Saunders said the price for office space at the 62-storey tower ranged between RM8 and RM9.50 per sq ft.
“Currently, the tenant mix is 50:50 between local (tenants) and foreigners,” he said. The RM1.2bil syndicated term loan facility is for The Intermark, which comprises the redevelopment of the Empire Tower, City Square, Crown Princess Hotel and Plaza Ampang. 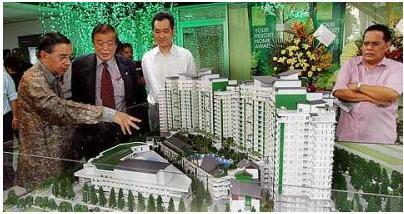 MGPA, through its Asia Fund 2, acquired the properties in 2007 for about RM760mil. The entire redevelopment is expected to cost RM2.25bil. Maybank Investment is the mandated lead arranger and bookrunner for the syndication which is participated by Malayan Banking Bhd as the main lender. Maybank Investment chief executive officer, Tengku Zafrul Tengku Abdul Aziz said the facility would add to the depth of the Malaysian ringgit syndicated loan market for 2011 which to-date stood at over RM5bil. Kuala Lumpur: A unit of Singapore-listed Healthway Medical Corp Ltd (HMC) has bought a piece of land near the Petronas Twin Towers in Kuala Lumpur for some RM80 million. Sources told Business Times that the family-owned land, located on 19 Jalan Kia Peng, was sold to Healthcare Medical Corp's associate, Healthway Medical Development (Private) Ltd. The buyer is said to have paid an estimated RM1,600 per sq ft for the site, measuring a little over 50,000 sq ft. The land is located just behind The Pearl condominium and between Suria KLCC and Pavilion. A drive by the plot of land revealed that Zerin Properties is the exclusive marketing agent for the land. However, its chief executive officer Previn Singhe, when contacted to confirm the deal, declined to comment. It was reported last year that the asking price for the piece of land was RM1,800 per sq ft and that it has potential for development. Incidentally, Healthway Medical Development has incorporated a company called Healthway Medical Centre (KLCC) Pte Ltd. However, it is unclear if this company is related to the land buy in any way. Healthway Medical Corp is Singapore's largest network of private medical centres and clinics of primary healthcare, dental and specialist services. Last June, Singapore billionaire Peter Lim Eng Hock emerged as a substantial shareholder in Healthway Medical Corp. However, in October 2010, Lim, known as the Remisier King, ceased to be a substantial shareholder. Lim made headlines in Malaysia last year when he bought a substantial stake in TMC Life Sciences Bhd. He is now the largest shareholder with 32.59 per cent of TMC, a private healthcare group. Meanwhile, it was reported two months ago that Lim had bought 14ha of land in Stulang Laut, Johor, for some RM200 million. He was said to be planning to build a Thomson Medical healthcare facility there. Singapore-listed Thomson Medical was taken private by Lim lastyear. It is described as a leading healthcare service provider in Singapore for obstetrics, gynaecology and paediatric service. JOHOR BARU: Johor is set to house the largest film complex in the region when Pinewood Studios Iskandar Malaysia (PSIM) opens its doors in 2013. PSIM chief executive officer Michael Lake said the complex, on a 32.37ha site in Nusajaya, would offer state-of-the-art facilities for film production and related activities. He said that among the facilities would be production offices, filmset construction areas and backlot (an area behind or adjoining a movie studio, containing permanent exterior sets for outdoor scenes in motion picture or television production). The complex will have five fully air-conditioned and sound-proofed film stages with floor areas of between 1,400 and 2,800 sq metres, and two high-definition television stages of 1,100 sq metres each. “It will become a one-stop centre, providing filmmakers with world-class facilities,” Lake said at a talk held in conjunction with the Careers, Businesses and Skills Carnival 2011 at Persada Johor here. He explained that Malaysia had all the elements to make it attractive to film producers, such as its competitive exchange rate, lower production costs and interesting locations that could be used for filming. “We hope to attract film production companies not only from Asia, but also Europe and the United States,” he said . However, Lake pointed out that building the infrastructure alone would not suffice, and that PSIM needed to train talents in various cinematic, organisational and technical skills. He added that PSIM would look into providing internship opportunities for locals who were interested in the film industry. Lake said he had already begun marketing PSIM to the film industry overseas, and the reaction has so far been largely positive. “Malaysia presents a new and exciting frontier, and film producers have been interested in learning more about the country,” he said. He added that PSIM would work closely with Multimedia Deve­lopment Corp and the National Film Development Corporation to promote and market the complex both locally and overseas. PSIM was established with RM400mil in investments in a joint venture between Khazanah Nasional Berhad and UK-based Pinewood Shepperton. PETALING JAYA: Property developer Dijaya Corp Bhd plans to launch three new projects this financial year ending Dec 31 with a gross development value (GDV) of RM762mil. 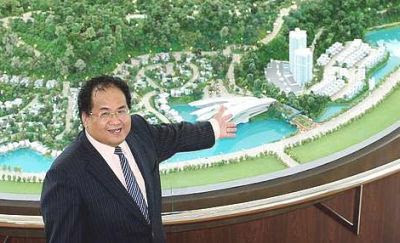 Tong: We will launch Tropicana Cheras, a residential project in Sungai Long some time between July and August. Managing director Datuk Tong Kien Onn said the total GDV for the three projects was more than RM1bil but as the group planned to launch them in phases the GDV was RM762mil. “We will launch Tropicana Cheras, a residential project in Sungai Long some time between July and August. The first phase of the Tropicana Danga project will be launched in the third quarter while the first phase of Tropicana Avenue, a mix development project with commercial centres and apartments, in Tropicana will be launched in the final quarter,” he told reporters after the group's AGM yesterday. The group had in the last financial year launched projects with GDV worth RM800mil. Dijaya had earlier said the group planned to launch property projects worth RM3.5bil over the next two years. Tong said Dijaya would aggressively launch more new projects in FY12 and FY13 to achieve the RM3.5bil target. He also said Dijaya was still looking for more land to acquire. “Our current land bank of 140 acres is excluding the recently purchased land in Subang and Kampar. If we add up both parcels, our total land bank will be about 240 acres,”he said. Dijaya had bought two parcels of land - one in Subang (88.5 acres) and another in Kampar, Perak with a size of 12.9 acres. On the move by the group to embark into the hotel business, Tong said after partnering with hotel and leisure company Starwood Hotels & Resorts Worldwide Inc to develop W Hotel in Kuala Lumpur, the group was looking for other places for new projects. He said the W Hotel would take about four-and-a-half year to be completed and the project would start by the end of this year. Tong also said Dijaya would continue to focus on the local market for its businesses although it was open for any business potential in the overseas market. He said the outlook of the property market in the country was still positive. KUALA LUMPUR: United Malayan Land Bhd (UMLand) plans to launch new projects with a total gross development value (GDV) of close to RM500 million this year. These projects, from both the township and niche divisions, are located within Kuala Lumpur and Is-kandar Malaysia, and are expected to enhance the group's earnings over the next two years. The new projects will include a high-end residential project near the KLCC Twin Towers (joint venture with Bolton Bhd), a commercial development in Johor Baru, and the proposed development of a 240ha land near Pulai Jaya (a joint venture with Tradewinds Johor Sdn Bhd). Two other projects are serviced residences in Kuala Lumpur's Golden Triangle and the waterfront boutique apartments in Nusajaya, Iskandar Malaysia. In a statement, he said the good take-up rate of 60 per cent for the luxurious serviced residences called Suasana Bukit Ceylon, is expected to sustain when the project is officially launched today. Suasana Bukit Ceylon comprises 310 units of serviced apartments and is estimated to derive a GDV of over RM300 million with completion expected in 2013. The waterfront project in Iskandar Malaysia has a GDV of RM190 million and will be launched in the third quarter of this year. Group chief executive officer Pee Tong Lim said the improved economic climate has given the group some confidence over its future growth. "The group's operating environment remains posi-tive ... UMLand continues to enjoy a sound financial position," he said. For the financial year ended December 2010, UMLand registered a RM57.7 million net profit against a revenue of RM316.9 million. United Malayan Land Bhd rose to its highest level in more than three years after saying it plans to roll out property projects with a gross development value of almost RM1 billion this year. The stock gained 4.2 per cent to RM1.98 at 9:14 a.m. local time in Kuala Lumpur trading, set for its highest close since January 2008.